He is strong! He is invincible! He is fearless! (Well, almost.) 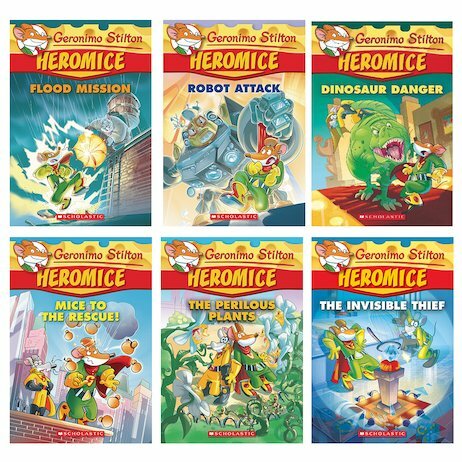 Meet Geronimo Superstilton: totally super-awesome! You’ve heard of Superman. Now it’s time for Super Stilton. Yup: your favourite mouse is back in a brand new superhero role. He’s sporting a super-silly leotard, eating super-stinky cheese, and saving the world from super-scary villains. In between making you laugh super-hard, of course!